Hey there. 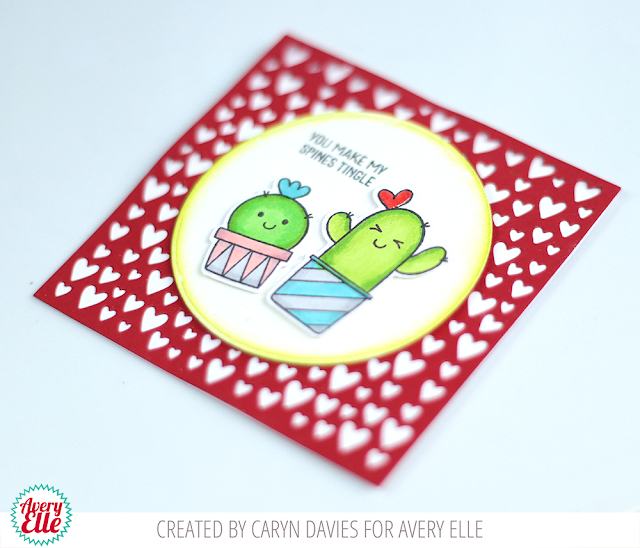 Caryn here today sharing a cute card I made using the gorgeous Tons of Hearts Frame die. One of my favourites from the Winter 2018 release is the Stuck on You set so I couldn't help but grab these guys for this card. I started with a 4" square card so it's just the right size for the Lots of Hearts die cut which I cut from red cardstock and adhered to the front. 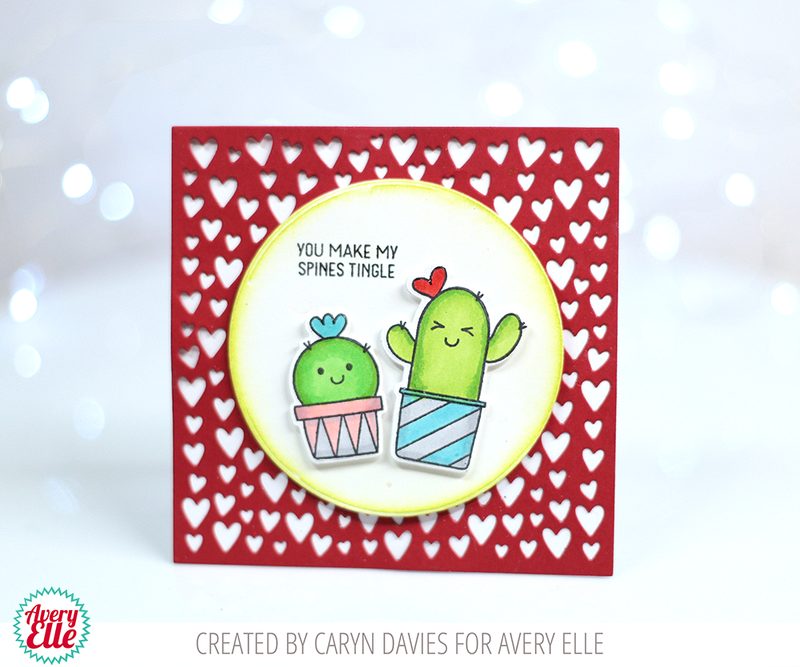 I used a circle die cut that I had left over from a previous card using the Horizontal Stripes die and blended some Lemon Grass (my favourite Avery Elle Pigment ink colour by the way!) around the edge. I stamped the cute sentiment in black and then placed the cacti that I stamped, die cut and coloured with Copics on to the front with pop up foam tape. To finish I added a wee bit of shine to the flowers on the cacti using glossy accents.